The lineup for the inaugural Sonic Temple Art + Music Festival is finally here! 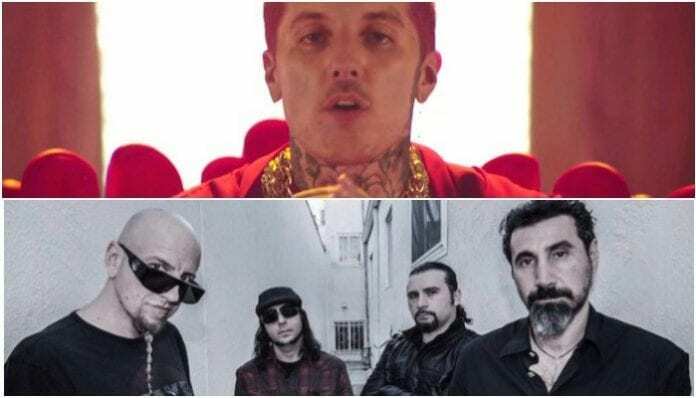 Announced earlier today, System Of A Down, Foo Fighters, Disturbed and Bring Me The Horizon are all set to play the inaugural Sonic Temple Art + Music Festival. The festival will span over the course of three days, May 17 to May 19, 2019, and it is slated to be held at Mapfre Stadium in Columbus, Ohio. As reported in September, the Sonic Temple Art + Music Festival will be replacing Rock On The Range, a fact that was announced by the festival’s co-creator Danny Wimmer Presents. The new festival plans to bring high-quality entertainment, art installations and a premium food and beverage selection. Sonic Temple Art + Music Festival also promises a diverse lineup, and it certainly didn’t fail on that promise. In addition to the previously mentioned bands, other performers include Ghost, Halestorm, Lamb of God, Beartooth, Architects, Bad Wolves, Fever 333,Basement, The Black Dahlia Murder, Don Broco, Wage War, Hands Like Houses, While She Sleeps, Palaye Royale, Movements, Amigo The Devil, The Plot In You, Boston Manor, COUNTERFEIT., Teenage Wrist, Joan Jett And The Blackhearts, The Cult, In This Moment, and Issues. Aside from performances, the festival will also include a spoken word set from Henry Rollins and comedy from Andrew Dice Clay, Pauly Shore, and more. General admission tickets and VIP packages for the festival go on sale this Friday, November 30 at noon EST. For tickets, and further information, you can go here! Who are you most excited to see in 2019’s Sonic Temple Festival? Let us know in the comments below!